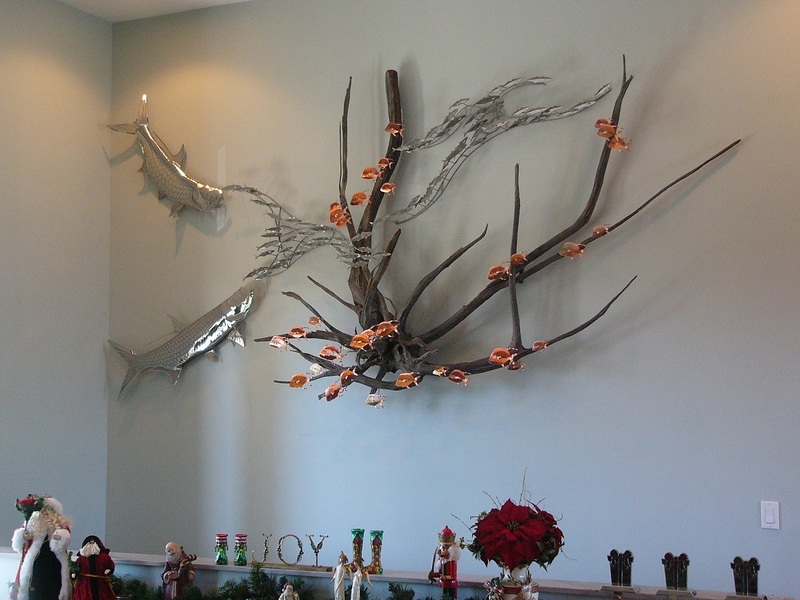 Each driftwood sculpture we make is automatically unique, but none more so than this one, which features polished stainless steel tarpon chasing bait fish. 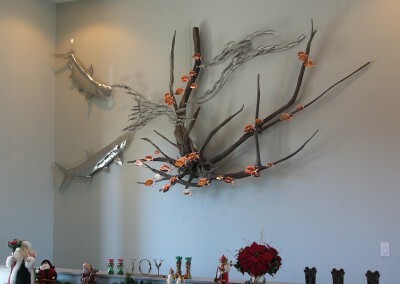 This piece was commissioned by customers in the Florida Keys. 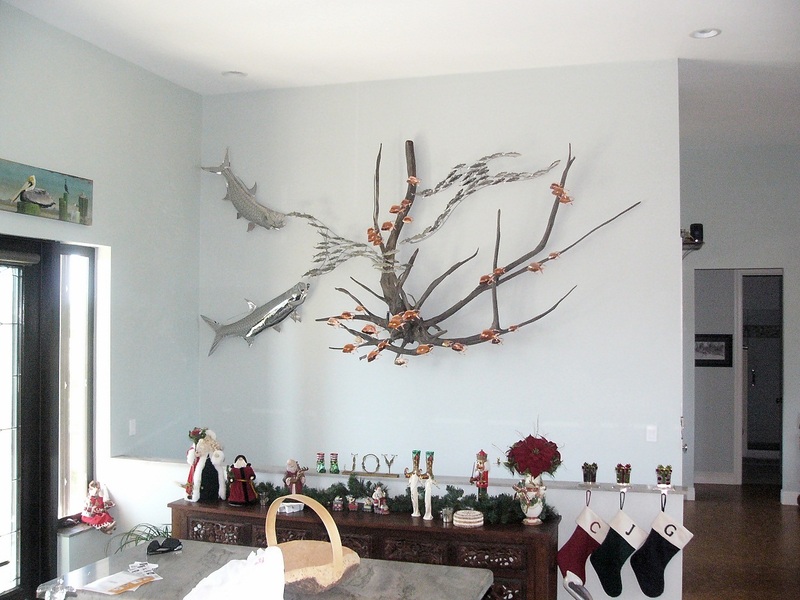 They were looking for a special piece to go on the wall adjacent to their stairway, which would also accentuates their upstairs. We began the process by looking for a piece of wood that had the size and shape to fit their space, as well as the finish they were looking for. 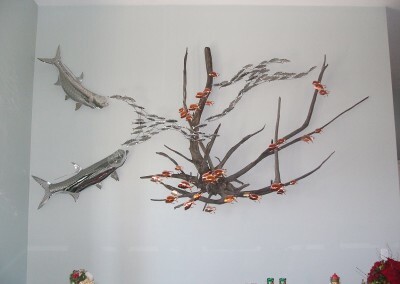 The customers like the clean look of the polished stainless coupled with the warmth of the copper to compliment the driftwood, while tarpon were an automatic choice due to their popularity as a game fish in the area. We sent pictures of the wood choices for approval, after which the design process began. 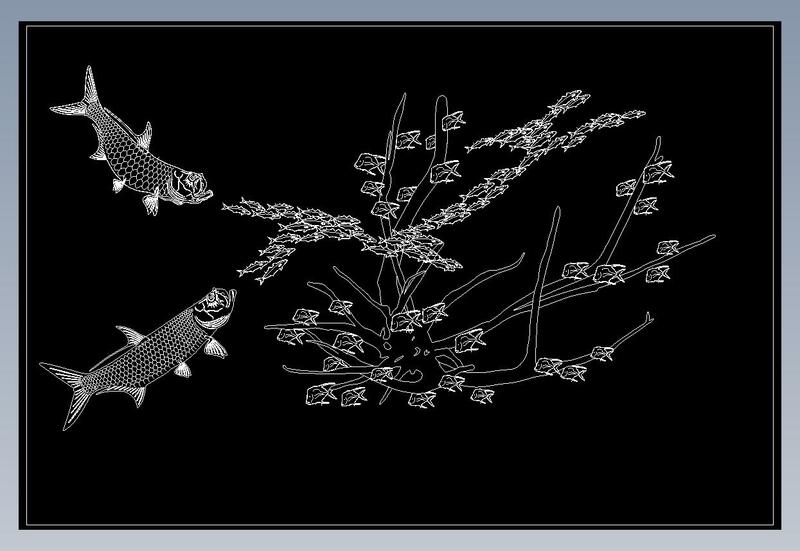 First, we produced a scale line drawing for the customer which showed what the sculpture would look like on the wall. From this we could tell exactly how big to make each of the fish, how many bait fish would be required, and the exact shape of the array. The driftwood was precisely drawn in the image as well. At this point, adjustments were made to the design until the customers were happy. 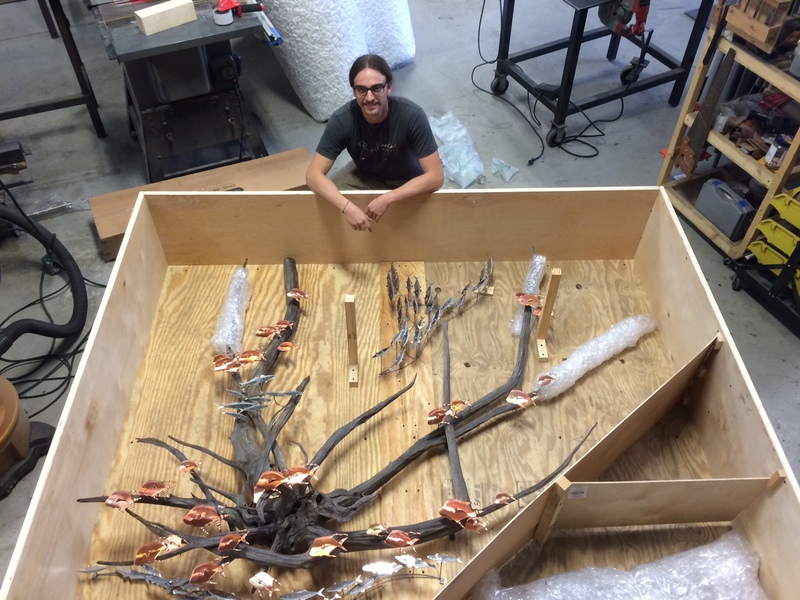 We then priced the sculpture, accepted a deposit, and began fabrication. We fabricated this driftwood sculpture in 5 pieces. 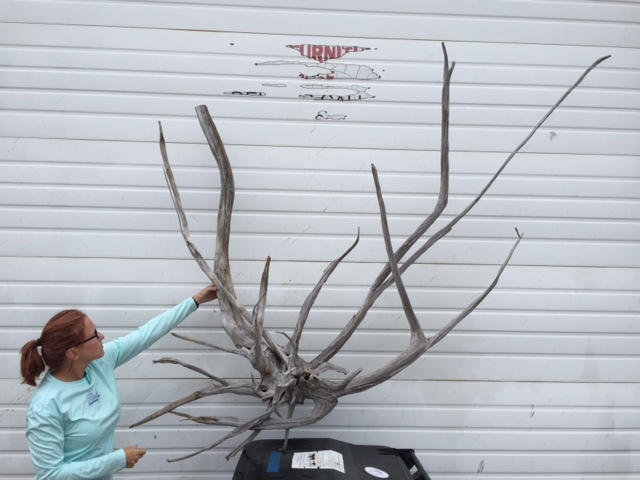 We then fabricated a monster custom crate, and carefully packaged the driftwood sculpture for its long journey to the keys. After mounting the sculpture the customer sent us these pictures. This entire process was handled through phone calls and emails. 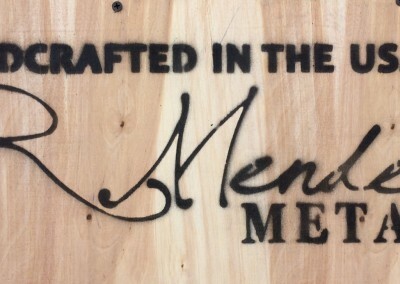 Other than a few pictures and scale images, the customer saw the parts of their sculpture for the first time when they opened the crate. 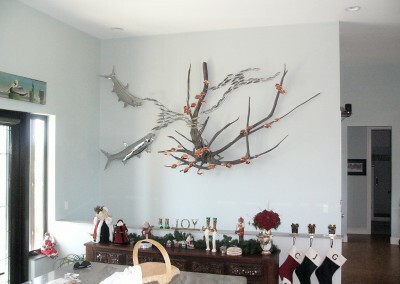 Considering the size of this sculpture, they did a great job mounting it on the wall! We look forward to visiting this sculpture on our next trip down the Keys, and meeting these customers face to face for the first time. 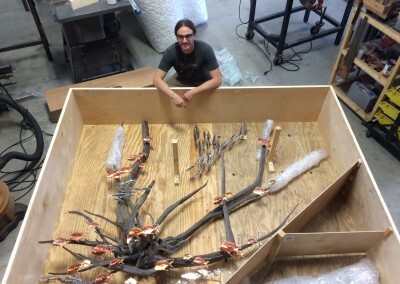 The total sculpture is 12′ wide, and the piece of wood is 7′ wide and 5′ tall. 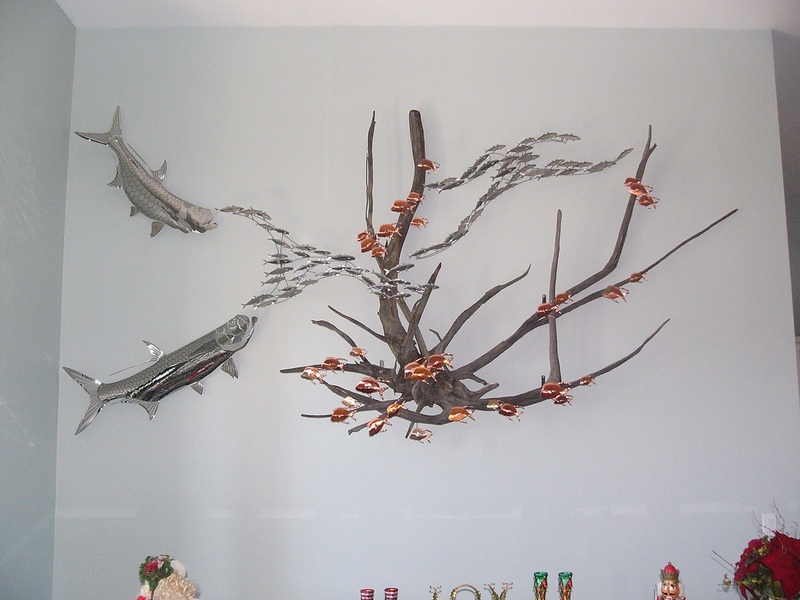 If you like our driftwood wall sculptures, check out this other Lookdown Wall Sculpture we did.